Light alloy, screw gate oval CATCH-FREE connector. Innovative profile, symmetrical with large gate opening. The ideal connector for the placement of descenders, pulleys and ascenders. 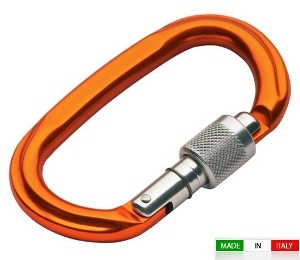 It is also indicated for rope manoeuvres and belay.